Our first event is at St Monans Art Festival! At the craft fair on Saturday 18th September in Town Hall, St Monans. 9am - 5pm. We'll have a selection of wools and items to squeeze as well as a yarn tasting of different fibres and needles for people to try out. 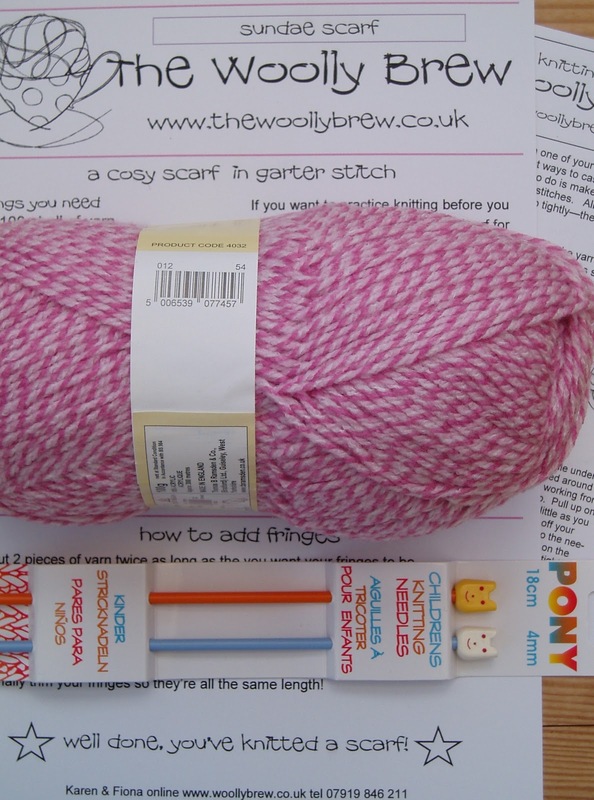 Our aim is to show the variety of knitting yarns and accessories and encourage beginners and experienced knitters to try something different. We will have two project kits for sale. 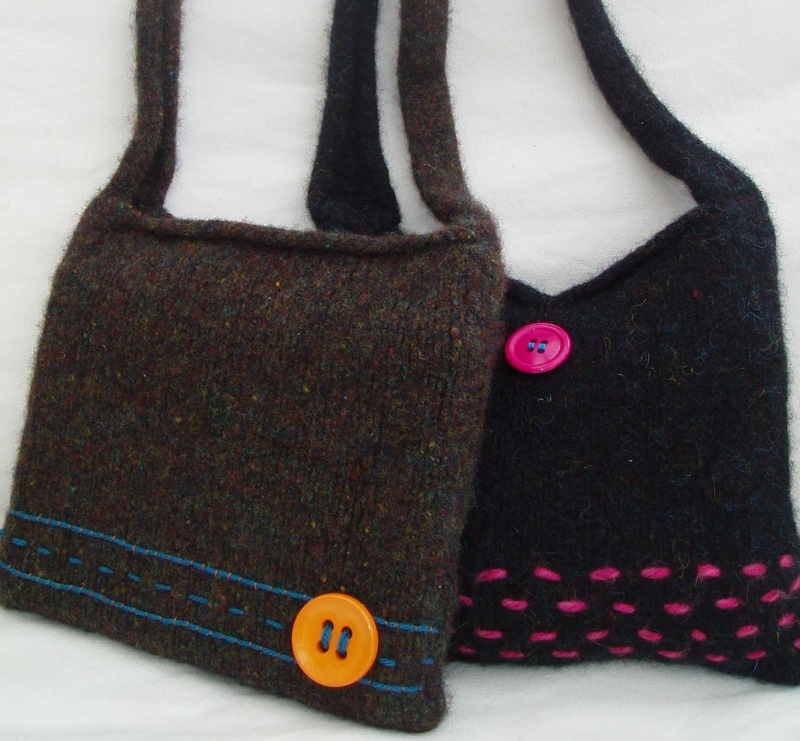 One for a felted shoulder bag (£15) and one for child's scarf (£5). The felted bag is suitable for a beginner and still interesting for a more experienced knitter using double knitting wool from Isle of Harris Knitwear Company. There is a choice of two colours - a green tweed effect and a black tweed effect. The tweed effect is important! Once felted it really brings the colours out. 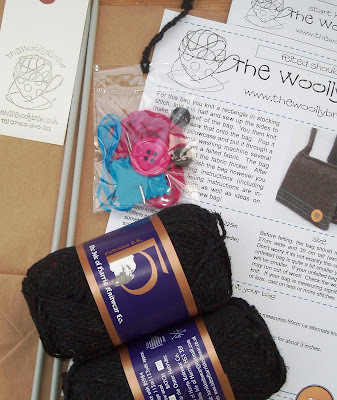 The kit contains all you need to make a lovely and unique felted shoulder bag. 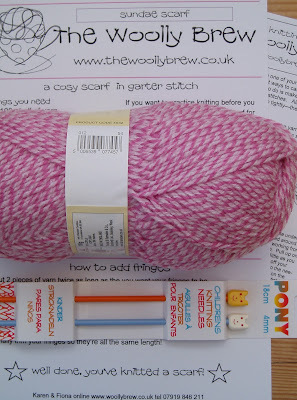 Including how to knit and felt instructions, pattern, needles, wool, and an embellishment pack with buttons and yarn. 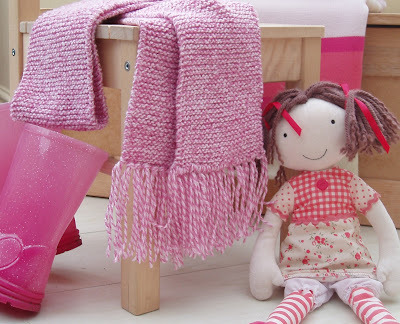 The girlie scarf in ice cream colours will appeal to children and includes child size needles. We're very excited (and nervous) about our first pattern and event but we hope it will lead to more opportunities... please let us know what you think of the kit or our yarn tasting!